1. The ADIDAS Climalite Response Compression Shorts gave me some chafing on my left groin area and I have to change my shorts for my afternoon run. I advise the runners not to buy this kind of compression shorts because the stitches on the groin area keep on rubbing the skin as the runner moves his legs. I have to change to my NIKE regular running shorts. 2. I started my afternoon run at 4:36 PM after some ice cold coffee, pasta with chicken and a slice of cheese strawberry cake! 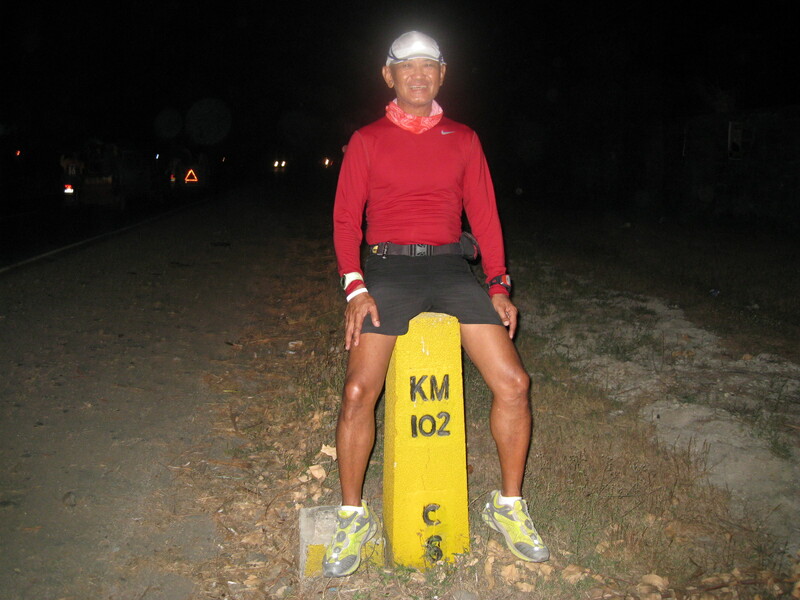 I started infront of the entrance to the Clark Freeport (where I stopped after the morning run) and finished at Km Post #102. I was able to run a distance of 15K with a time of 2:10 hours. I was able to consume 1,067 calories. My average pace was 8:39 minutes per kilometer with an average heart rate of 122 beats per minute. 3. For the second day of my “adventure run”, I was able to cover a distance of 46 kilometers, same as of yesterday’s total distance. The total mileage for two days run is 92 kilometers in 14+ hours as running/walking time. So far, except for the slight chafing, I don’t have any blisters, cramps, pain or problems with my body. 4. 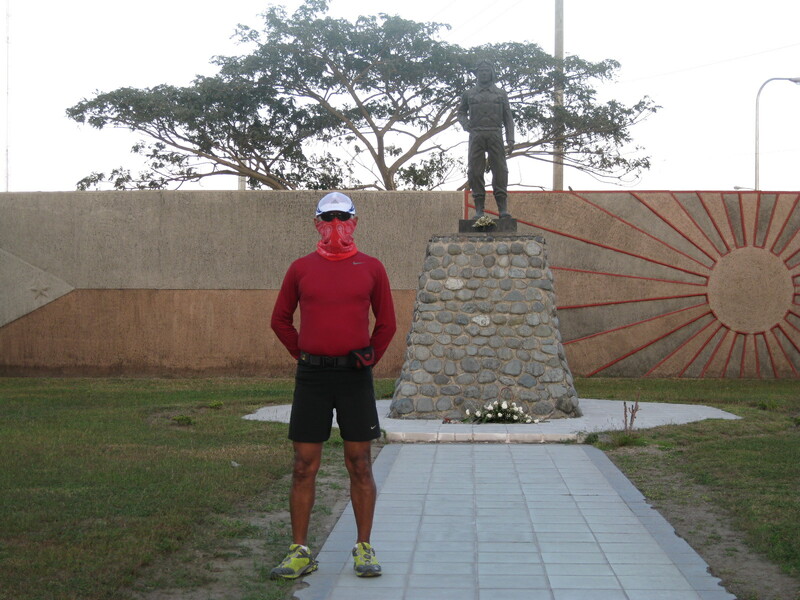 For the 1st day, I was able to run across the province of Bulacan and for the second day, I was able to run along the towns of Pampanga. As of now, I am in the territory of Tarlac Province. 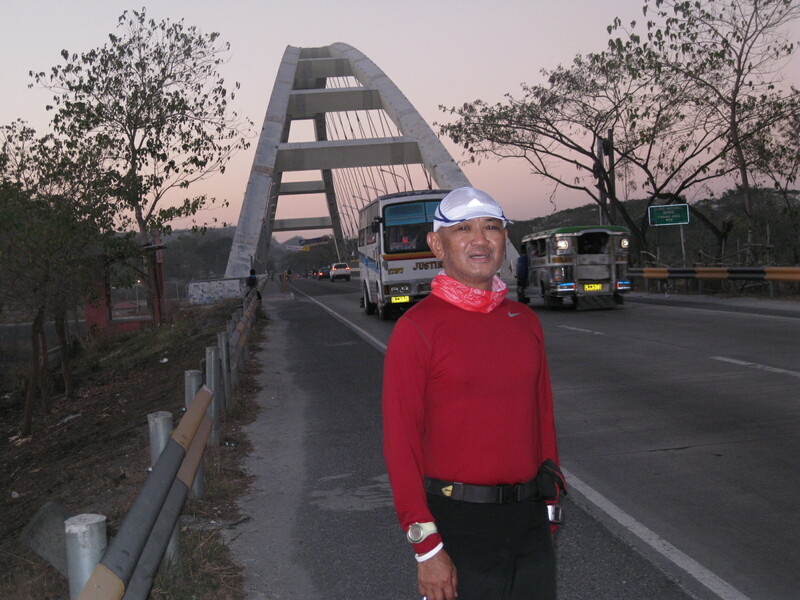 Hopefully, before the end of the third day, I will be running in the province of Pangasinan. 5. As usual, I have my dinner with a big serving of hot La Paz Batchoy which I find to be complete with everything. It is salty, it has noodles, meat, fried pork and brooth! I also ate fried chicken & rice. I have taken my Vitamin C, Pharmaton tablet, and Alaxan FR before going to bed. Of course, I have also a glass of fresh milk to complete my food intake for the day. One liter of water is a must also before going to bed. 6. The following pictures will do the talking for the meantime. Good night! I’m enjoying reading your running update Sir. I hope when I reach your age I can be as strong as you. I will pray for your safety and strength until you reach Baguio City. Thanks for inspiring! pheww… the mystic of km102 post! BR, did you weight yourself before you start this adventure run? Do you still maintain your weight until now? Sir BR, its quite nice to read your journal as you set out your adventure run. In fact, I always look forward to reading the updates every morning. Hope everything goes well and you’ll get to Baguio in time for your PMA homecoming. Just a quick question: how many shoes did you bring for this run? I guess one or two might not be enough? Also, are you using both trail and running shoes? 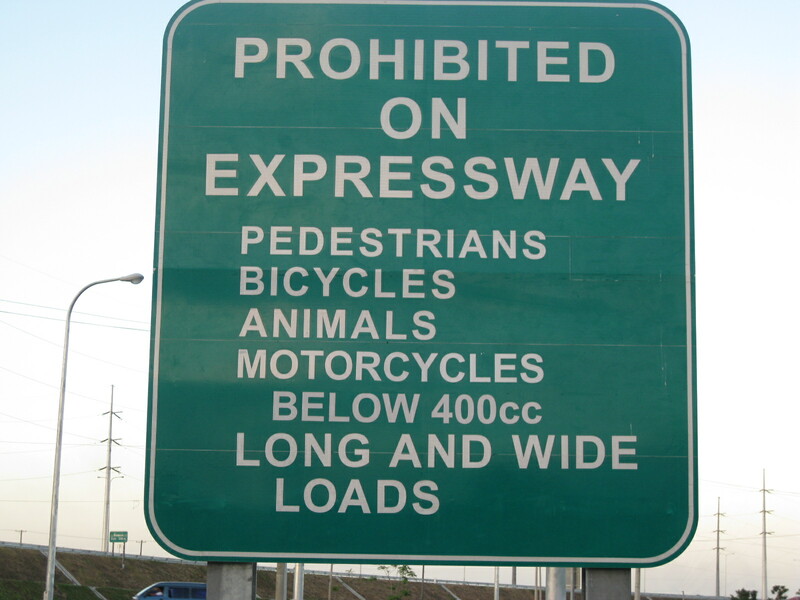 Noticed that the sidewalks of our highways are mostly gravel so baka kailangan trail shoes ang gamitin instead the usual running shoes, specially the highway from Pangasinan to Rosario (at least that’s what I remember the last time I went up to Baguio). Curious lang naman. Anyway, have a safe run and looking forward to your next update! Thanks sir jovie for the support and encouragements. Thank you to Team Baldrunner speed training too. Hope you’ll have a safe run.